With over 300 million monthly users, Twitter has quickly become the platform of choice for many nonprofits seeking to reach their followers. 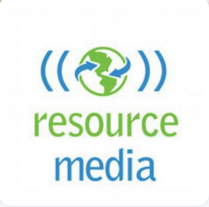 By creating a well-designed Twitter account, organizations can tell their story, engage communities, enlarge their volunteer base, acquire donors, and keep their supporters up to speed on the latest events and campaigns. This post will outline how to 1) set up your profile, 2) develop a strategy, 3) produce quality content 4) maximize your audience and impact, and 5) track and monitor your results. A magnet for first impressions, your Twitter profile will be one of the most visible descriptions of your organization on the Internet. So you have to make it count. Step 1: Create a Twitter and fill out your profile entirely. An estimated 5% of Twitter profiles are fake, and oftentimes they are easy to spot. No profile picture, no bio, and few to no followers. As you’re creating an account, think of your profile as your first chance to make an impression on a potential follower, and make sure you give them a good reason to start following along. Don’t leave your profile picture looking like this. Step 2: Write your Twitter bio. After you’ve created an account with an identifiable handle (e.g. @SkollFoundation), it’s time to write your bio. The New York Times has called the Twitter bio a “postmodern art form.” In only 160 characters, you must communicate your organization’s mission, incorporate relevant keywords, mention its location, and include a link to your website or blog, all the while being intriguing, accurate, upbeat, and irresistibly charming. 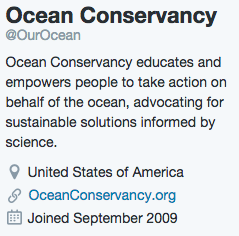 Ocean Conservancy’s bio is engaging yet concise. The Ford Foundation’s bio gets right to the point. Notice that these bios mention location, contain a website url, and use powerful action verbs to tell their organization’s story. 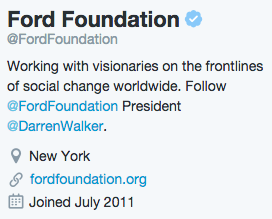 Notice also how @FordFoundation‘s bio links to Darren Walker’s Twitter, humanizing the organization and providing another useful connection. If you’re having trouble writing your organization’s bio, think about using language that would allow someone to find your profile in an Internet search. That means as long as you avoid jargon, it’s okay to employ keywords that your followers associate with you. 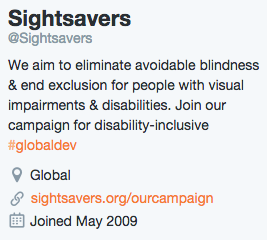 Sightsavers makes the most of 160 characters. Step 3: Choose a profile picture and a background photo. Twitter, like most social networks, is a visual medium. Users see your profile picture when looking at your Twitter page, but they also see your profile picture as a thumbnail next to all of your Tweets. Given that many users check their Twitter notifications via phone, where your profile picture will appear even smaller, having easy to see visuals and recognizable images that say who you are is important. Many organizations use their logo for the profile picture, and display the organization or their work somehow in the background photo. Where Human Rights Watch uses images of people, the World Wide Fund for Nature has an image of a panda. For many nonprofits, a behind the scenes image of the office, volunteers, or employees can be very effective. Rule of thumb: feature the people you work with and the daily impact you make. Step 4: Learn the Twitter basics. Once you’ve set up your profile, you’ll want to make sure that you customize the settings correctly. Make sure your account is public so that everyone can see it. Manage your notification settings in order to receive notice when someone interacts with your content. 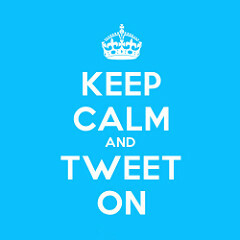 Twitter is nothing to freak out about. 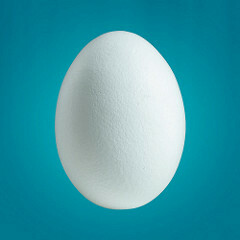 Tweet: A piece of content a user has posted on Twitter. Hashtag (#): A way to categorize conversations on Twitter and make them more searchable. Your Tweet will show up in any search of the term. Retweet (RT): A reposting of the author’s Tweet that appears on your timeline. This can be done in three ways. 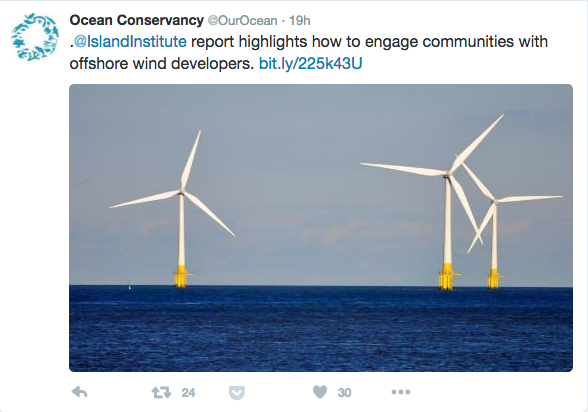 First, by clicking the Retweet icon. Second, by writing RT @username followed by the original Tweet. This allows users to leave a comment of their own before the RT. Third, Twitter’s “quote Tweet” function embeds the original Tweet (and link) within your Tweet, allowing you 116 characters to leave a longer comment. To use a quote Tweet, click the Retweet icon and add a comment. Direct Message (DM): Twitter allows you to send private messages to anyone who follows you. However, some users decide to receive DMs from anyone. Favorite: Like a Facebook “like,” a favorite—represented by a small heart—is used to show appreciation for a Tweet. Reply: A public response to a Tweet containing the hyperlinked username of the person to whom you are replying. Note that if you begin a Tweet with @username, only you, @username, and the people who follow you both will be able to see it. To make a Tweet public that starts with an @username, begin with a period (.@username). This Tweet can be seen by everyone. Continue on to Part 2 of this series: Developing Your Twitter Strategy and Producing Quality Content!